The tall ship Alexander Stewart is coming back to the Whitsundays! Sailing up from Victoria, the 27m vessel will arrive in the Whitsundays in November 2018 to begin chartered trips around the island chain. The boat is handcrafted from timber and is 60 tonnes, and has 9 private cabins that are ideal for couples or for twin shares. Timbers such as Nouman Kauri, Ribbon Maple, Red Cedar, Silky Oak, Tasmanian Blackwood and Oregon have been used in the construction which give a rich old world feel to the large roomy interior. It is said that the Alexander Stewart is the largest cold-moulded timber hull in the southern hemisphere, and has strong ties to the Mitchell family. It was built by 3 generations of the same family, and was completed in 1989. It is named after the grandfather of the family, Alexander Stewart Mitchell, who started the construction in the 1970s with the help of his sons Clive and John. Clive's son, Ivan, is the Alexander Stewart's current owner. 'The Stewart' once worked in the Whitsundays for 10 years before making its way down to Port Phillip Bay in Victoria. Now that it is coming back to Northern Australia, it will again begin sailing tours around the Whitsunday Islands. When it begins touring again, it will offer a 2 day, 1 night trip that departs Airlie Beach on Sunday, Tuesday and Friday at 8:30am. Sailing, snorkelling and relaxing will be at the top of the agenda, as well as a stop to Whitehaven Beach and Hill Inlet lookout. The Alexander Stewart is fully air-conditioned for extra comfort and also had stand-up paddleboards for passengers to use. 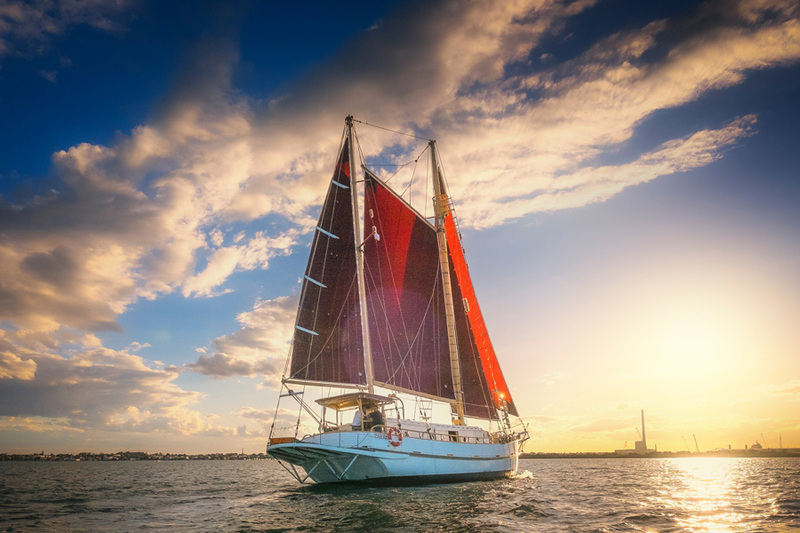 This tour is a great way to experience sailing on board an authentic tall ship.